An elegant lady's corsage created using pink roses, diamantes and selected foliage. A ribbon bow in a co-ordinating colour completes the design. 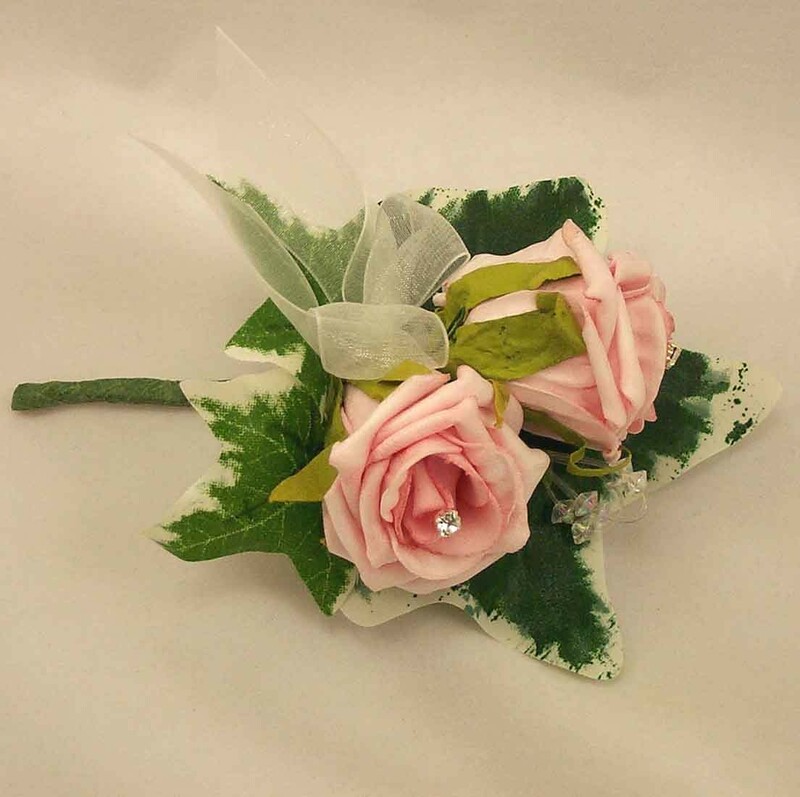 An elegant lady's corsage created using pink roses, diamantes and selected foliage.